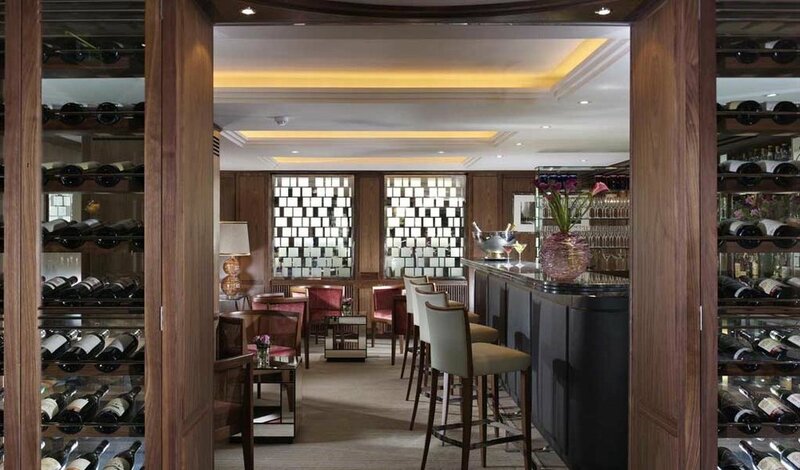 Going on forty years strong under the original Levin ownership, the Capital Hotel in Knightsbridge boasts outstanding staff, family heritage, and unwavering loyalty. Given its rich history, the Capital upholds classic British design with modern upgrades here and there. This award winning miniature sized grand hotel possesses all the luxurious advantages of a large establishment yet maintains a warm and intimate atmosphere that allows guests and staff to interact with each other on a personal level. The Capital has excellent service alongside spectacular location. The wondrous hotel sits elegantly on Basil Street adjacent to the lavish Knightsbridge apartments and just minutes from Knightsbridge Tube Station as well as Harvey Nichols, the Victoria & Albert Museum, Hyde Park, and the designer shops of Sloane Street. If location isn’t enough, the Capital might be able to entice wine lovers with their very own award winning vineyard, Levin Wines, in the Loire Valley. And, for those who enjoy sweets, they also have a bakery, The London Bakery, which delivers to high-end restaurants and clubs all across London. The Levin’s couldn’t just stick with one hotel, a winery, and a bakery; they also own and operate the Levin Hotel and the Metro Bistro. So, what we’re saying is, the Levin’s know a thing or two about hosting and can ensure your stay is of the highest quality. From their quaint classic queen room to their spacious two-bedroom suite and all rooms in between, you’ll want to book your stay at the Capital Hotel. The Capital Hotel is a proud member of Small Luxury Hotels of the World, a unique collection of luxury hotels across the world that have won countless awards for their food, drink, service and hospitality.